Laser technology has revolutionized countless industries. In the dental field, lasers offer remarkable advantages for both dentist and patient. Laser technology can help patients avoid painful oral surgery as well as allow for a more precise and effective procedure. At ConfiDenT, we are committed to using the latest techniques and equipment that modern dentistry has to offer, which undoubtedly includes utilizing state-of-the-art laser treatments to care for your smile. Our dentists are proud members of the Academy of Laser Dentistry and carry unrivaled skill in using this technology to address a wide variety of dental issues. These issues include those that affect your oral health as well as concerns that influence your smile appearance. 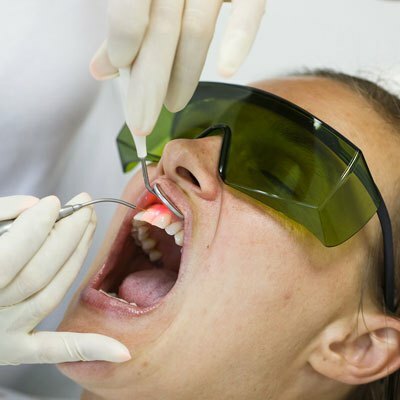 Why are dental lasers preferred by patients? Dental procedures that are performed with lasers offer a number of valuable advantages for the patient. First, most procedures can be completed on the same day in the comfort of our Alpharetta office. We rarely need to refer to a specialist. More importantly, dental lasers eliminate the need for scalpels and sutures, which means a more comfortable procedure and quicker recovery. In fact, only minimal anesthesia is used during a laser procedure, and there is no bleeding and less swelling. If you’d like to learn more about the specific types of dental lasers offered at ConfiDenT, please contact our office today. 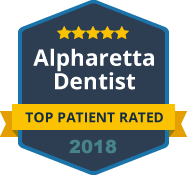 We are proud to be Alpharetta’s leader in modern dental care, with the ability to treat a full menu of dental issues using minimally-invasive, stress-free laser dentistry.